Visitors donated their calories for Bornean Sun Bears! 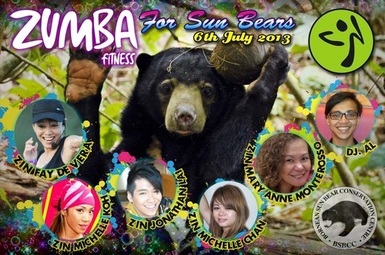 Visitors experienced the extraordinary Zumba feel with the beat of the Bornean Sun Bear together with the Sabah well-known Zumba Presenter Fay De Vera, Jonathan Lai, Michelle Koh, Michelle Chan & Mary Ann Monteroso! Sabah Hotel Ballroom, KM1 Jln Utara, Sandakan, Sabah.